Marou Faiserus de Chocolate. I have even more respect for you now. I just returned from Thailand where we spent most of our time in rural, non tourist areas. Thailand is beautiful and very warm even though this is the coolest time of the year. While I was in shorts and tank tops enjoying the 90+ degree weather the locals often wore sweaters. I LOVE the warm weather, however, the heat did a number on the chocolate that I was carrying. By the time I had a chance to share it, the chocolate was so soft I could almost bend the bar in half. Not so snappy. 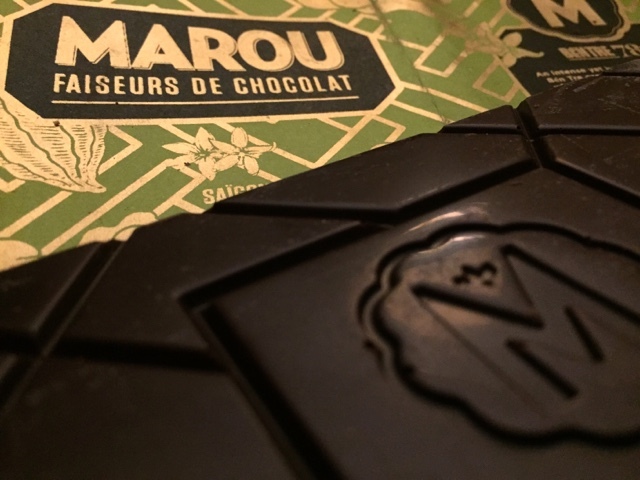 Since Thailand is right next to Vietnam I imagine that Marou, the only artisan chocolate maker I know of sourcing and working in Vietnam, has similar climate challenges, which is why I have even more respect for the chocolate they make now. Back here in Seattle I unwrapped the bar that I bought here to find a surface so shiny that it was reflective. Perfect temper. How on earth do they produce bars in that hot and humid climate AND transport those beauties while keeping the temper? Je ne sais pas. Shiny almost mirror like surface. Amazing temper. My hat is off to you Marou! May you have much more success in future years. Bentre 78% So-Co-La BEN. Single origin dark chocolate. Tangy Sour before the pleasing bitter of dark chocolate creeps in slowly dissolving into mature notes of tobacco. Finishing with a teasing note of the sour tangy again. A wonderful adventure in chocolate to start the new year with. 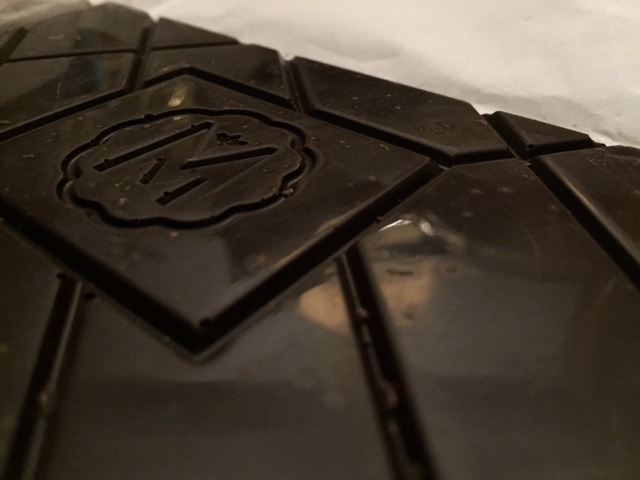 Can't wait to taste another Marou bar.